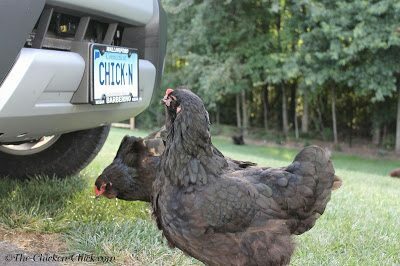 This week my town’s Zoning Commission heard my petition to legalize backyard chickens. The live recording of those proceedings can also be seen on my YouTube channel here. The commission members seemed extremely receptive to my proposal and have tabled the matter so that they can read the literature I provided to them and to give me time to meet with the staff of the Zoning Department to tweak the text. A shout-out to my friends at Cupola Hollow Farm who dropped off this awesome tee shirt for me this week just prior to the Zoning Commission hearing. My presentation to the Suffield Zoning Commission lasted approximately 40 minutes and included a slide show of my coops and chickens. The questions they asked were very thoughtful and my argument was very well received by the Commission members. The hearing was recorded live & can be seen below. Thanks Kara, I appreciate your support! That's AWESOME! Thanks for letting me know, Kimmie!